Governor Andrew M. Cuomo today announced that insurers and HMOs offering comprehensive health insurance coverage through the New York State of Health individual marketplace are now required to allow victims of domestic violence, or spousal abandonment, to enroll in insurance plans at any time of the year. The New York State Department of Financial Services has created a new special enrollment period which will permit these individuals to enroll at any time outside of the standard November 1 through January 31 annual open enrollment period. 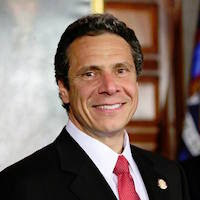 "Victims of domestic violence should not be forced to ensure additional hardships because they lack access to quality health coverage for themselves or their children," said Governor Andrew M. Cuomo. "This action will help break this cycle of violence and help victims gain the independence and the assistance they need." Acting Department of Financial Services Superintendent Maria T. Vullo said,"DFS is taking this action to ensure that domestic violence victims, as well as victims of spousal abandonment, have the opportunity year-round – not just during the standard open enrollment period – to sign-up for necessary health insurance." The special enrollment period will be made available for individual coverage outside the New York State of Health starting April 15, 2016 to any member of a household who is a victim of domestic violence, including unmarried and dependent victims within the household, as well as victims of spousal abandonment, including their dependents. For applications received by the 15th of the month, coverage will be effective on the first day of the following month. For applications received after the 15th of the month, coverage should be effective on the first day of the second following month. Insurers and HMOs may include either an item on the application or request a separate statement from the applicant attesting to their eligibility for the special enrollment period. Insurers and HMOs should not require that the applicant have been a victim of domestic violence or spousal abandonment within a specified period of time. Insurers and HMOs may not require any proof of eligibility or apply overly burdensome requirements on applicants seeking to use the special enrollment period. Legal Momentum President and CEO Carol Robles Roman said, "Legal Momentum applauds Governor Cuomo for taking decisive action in removing impediments to ensure that domestic violence victims and their dependents are able to obtain health insurance whenever they need it. Violence often has economic and health consequences for survivors. Maintaining health coverage is an important way to help them." Sanctuary for Families Executive Director Judge Judy Harris Kluger said, "Governor Cuomo recognizes how vitally important it is that individuals leaving an abusive relationship know that they will be able to enroll in health insurance – at any time – for themselves, their children and dependents." Sean Doolan of the Blue Cross Blue Shield Association of NY said, "We appreciate the opportunity to work with the Governor, DFS and NYSOH on collaboratively developing a balanced approach to ensuring that victims of domestic violence are afforded seamless health care coverage." Additional information on the special enrollment period may be obtained on the Department of Financial Services website.